How Long Does My Employer Have to Deposit My 401(k) Match? What Does It Mean to Be 100% Vested in My 401(k)? You can elect to have some of your salary deposited into your company's 401(k) plan. Many companies make matching contributions in order to encourage employees to participate in these pension plans. Federal law limits the amount of time that your employer has to deposit your own contributions to your account. However, no time limits pertain to matching contributions made by your employer, and in fact your employer has no legal obligation to make matching contributions at all. As of 2011, you can make an annual contribution of up to $16,500 to your 401(k) unless you are 50 or older, in which case you can contribute up to $22,000. Your employer can elect match your contributions up to six percent of your annual salary. Typically, both your contributions and your employer's matching contributions go into your 401(k) account on payday. Every employer has the right to set the own terms of its 401(k) plan, and many companies do not start making matching contributions until you have been employed for at least one year. Federal law requires your employer to deposit your own contributions to your 401(k) as soon as your employer can segregate that money from the company's general accounts. However, your employer cannot deposit your 401(k) contribution for the current month any later than the 15th business day of next month. Some employers have run into trouble after misinterpreting this rule and adopting a procedure that meant that all contributions were delayed until the 15th business day of the next month. In most instances, nothing prevents your employer from making the deposit on payday, and you can report your employer to state and federal authorities for causing unnecessary delays. Companies can make amendments to 401(k) plans at any time as long as plan participants are notified about these changes. During periods of recession, many companies suspend 401(k) matching contributions, while other companies scrap matching contributions altogether. Neither state nor federal law requires your employer to make a matching contribution. Many people only enroll in 401(k) plans in order to get "free money" in the form of a company match. However, 401(k) plans were designed to provide you with an avenue through which you could enjoy tax-deferred growth, rather than to provide you with matching contributions. 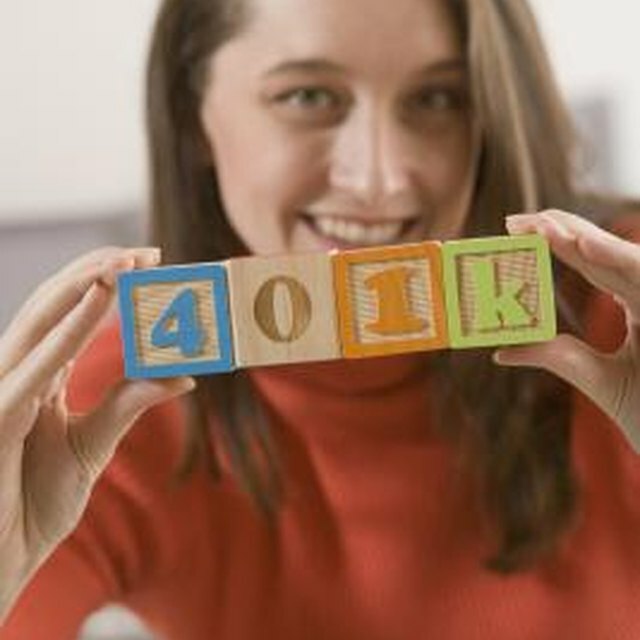 Can I Contribute to a 401(k) & a SIMPLE IRA in the Same Year? If your employer does elect to make matching 401(k) contributions, those funds do not necessarily belong to you at the time your employer makes the contribution. Federal law enables companies to use vesting schedules and these schedules set out a timeline that specifies at what point your employer's contributions actually belong to you or become vested. Within two years of being contributed, 20 percent of your employer's matching contributions belong to you. It takes six years before your employer's contributions are fully vested. If you leave your job before funds are vested, then you lose the non-vested portion of your 401(k).